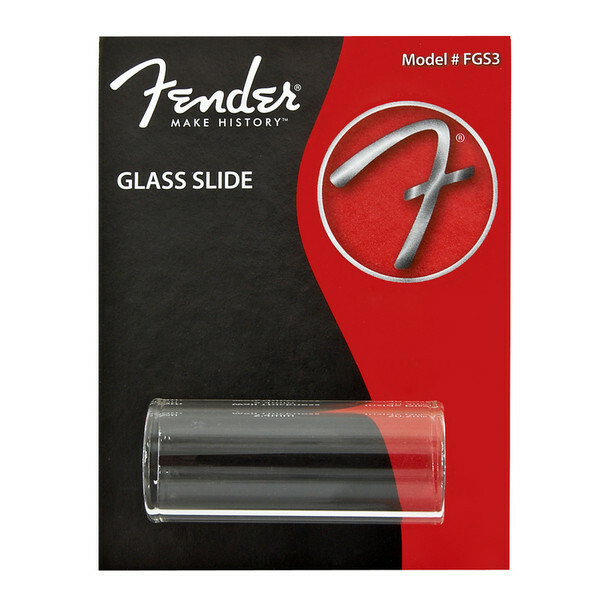 This Fender Glass Slide has a Fat wall and large length. The tempered glass will give your playing a warm, rich tone. Fender® Glass slides fall into the inspirational category when it comes to that sweet, fat tone that only tempered glass can produce. These slides give you unparalleled resonance, feel and expressiveness that is ideal for gliding across the strings of your acoustic or electric guitar.